The Reception Hut pavilion is a retreat in nature: covered, shaded, with spaces for rest, preparing or warming up food. 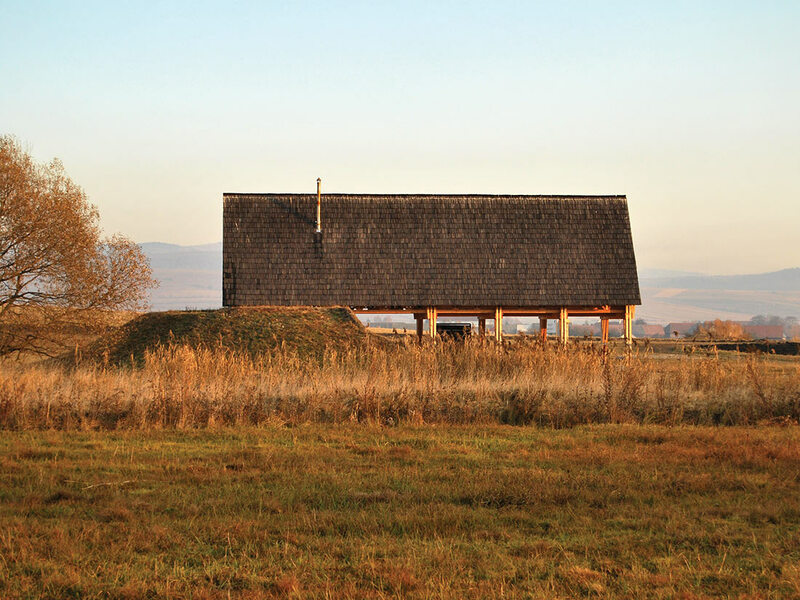 The design of the reception hut derives from the buildings of permanent rural homesteads and seasonally used stables scattered on the higher grazing fields. However, traditional volume, structure and details are adapted to current times, especially prefabrication needs – while shingles, hand-split, provide for natural texture. In today’s Europe there is noticeable shift from mass tourism towards more of a bottom up inspired tourism. This “small scale” tourism attracts more and more tourists every year, can you please comment this change. What do you think is the main cause behind this tendency and where do you think is leading? Starting from my own holiday habits, I do find it more appealing this kind of „small scale” tourism as opposed to the big apparatus of the over-organized , all inclusive big hotel deals, agency-driven industry. I think it’s a more „down to the earth” approach which gives you a bigger variety of spending your time and also the possibility to explore on your own, in a personal manner the natural or cultural features of a region, population. Probably the easy access to the information led to the development of this type of turism, today almost anybody with an internet connection and an apartment can become an entrepreneur in turism, but of course to be successful needs more than that. I cannot tell how will evolve this tendency but probably it will become more specialised, offering better quality for a more targeted public. How did the legal framework in your county affected the project? Do you find the state regulation flexible enough and if not how do you suggest the state to regulate this type of projects? The client being the county council and the local village authority we didn’t run into permitting issues, and also this type of programme is not very regulated and quite uncommon in Romania. It is somehow a mixture of a turistic refuge, a shelter and a community building beside a rural public bath. So in this particular case the regulation was quite flexible, we could implement the project without serious problems but in general, for common turism-related buildings the legal framework is more strict, with long bureaucratic procedures especially when building outside populated areas. What was your approach on designing the visitor experience? Which element of the design, in your opinion, makes significant impression on the visitors? 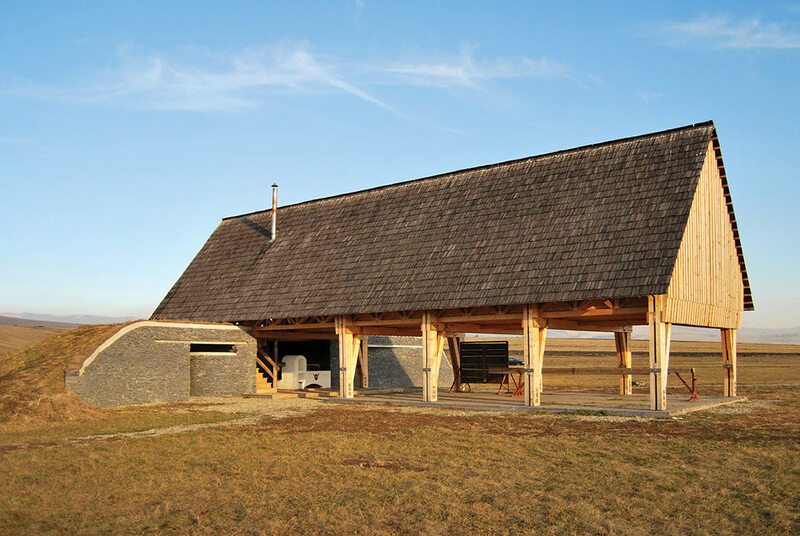 An important feature of this house, its main design concept is to appear like a familiar element in the region’s landscape: it derives from the buildings of permanent rural homesteads and seasonally used stables scattered on the higher grazing fields. However, traditional volume, structure and details are adapted to current times, especially prefabrication needs. The groundfloor being almost completely open gives a very lightweight feeling to the wooden structure, inviting visitors to rest and use the covered space. In your opinion, what type of project the touristic offer in your country misses the most? And what is done for that missing element to be meet? I think a contemporary, eco-sensible architectural design approach is hardly present in our country’s touristic offer, most of the rural pensions don’t really take into account the ambiance in which they are built, don’t relate in a proper manner to the natural and built environment. The funding process of this type of programme hasn’t succeeded to control the architectural quality, although I think it’s a key issue in their future success. Slowly as the economy starts to grow it will probably regulate itself, the entrepreneurs will realize the importance of an architectural experience in their touristic offers.